WE DO NOT SELL OMEGA. The information here is for reference only. 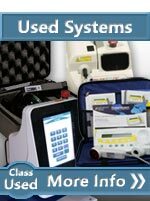 The typical system costs $8500 to $12000. 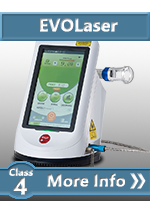 Omega manufactures Low Level Laser Therapy equipment for practitioners. 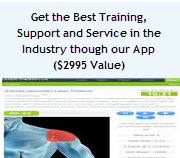 Their products use a combination of Gallium Aluminium Arsenide Lasers, known as GaAlAs, and superluminous LEDs to allow for both deep penetration and shallow therapy. 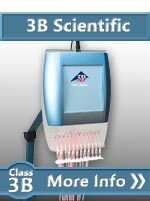 Omega's photobiomodulation systems are FDA cleared and fully licensed for Canada and have all relevant European certification. They recently received a warning from the FDA for non-compliance to their 510k. They are manufactured in the United Kingdom, similar to Thor. One of their strongest niches is smoking cessation. Each Omega systems is built from a controller (either portable or desktop) combined with one or more emitter probes. 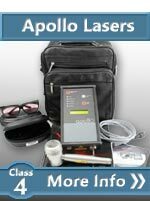 Each emitter is is designed to emit laser light at a specific wavelength, or set of wavelengths for a specific type of treatment. 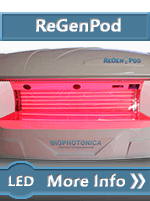 The power, pulsing frequency and programming can be adjusted with the easy-to-use control unit. Omega lasers are Class 3b and so they recommends the use of approved safety goggles. Introductory product training is provided with each control unit purchase by their rep force and additional training is available. Omega's latest control unit is is a sleek battery operated unit designed to fit into therapy clinics. The Xp unit accepts a complete range of Omega's interchangeable emitters, allowing laser therapy treatment of everything from superficial wound healing to deeper muscular penetration and laser acupuncture point stimulation. This unit is a pulsing laser that operate at 2.5Hz, 10Hz, 20Hz, 73Hz, 146Hz, 700Hz, 1kHz, 5khz, 10kHz frequencies and uses a nickel metal hydride battery for better mobility. 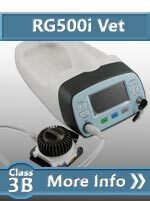 The Xp Clinic is unique in the fact that it has a built-in beam tester which gives a reliable reading of the single probe outputs. 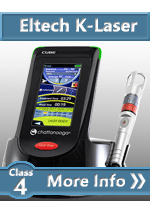 This system helps maintain long term accuracy of the laser output. This Xp Mobile was designed for those on the move like physical therapist.Â With similar functionality to the Xp Clinic, the Xp Mobile is built in a steel enclosure for robustness.Â It is lighter than the Xp Clinic and is provided in a padded carry case. The Omega Excel was created for those who desire a higher level of automation. Like the Omega Xp Mobile, the Excel comes with its own padded carry case. 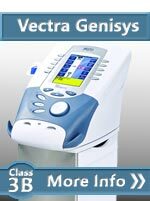 The Excel offers a range of nine pulsing frequency options and the ability to set three different pulsing repetition rates within one treatment through the multi-pulse facility. 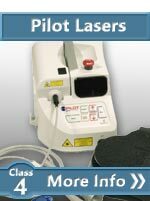 ColdLaser.Org is not affiliated with Omega cold laser. We just love cold laser equipment so we publish information like this as a community service to the general lasers industry. This info is not warrantied and is for reference only. Please check the Omega website for more information.